There are currently 116,860 users on this website. Just wondering what others have experienced when dumping at a Coinstar machine. Tonight I dumped $41 in pennies and had 3 pennies that no matter what I did, they dump out the rejection tray. I used two of them during my exit when I needed some loose change at a register. The remaining penny that I brought home is a 1986P, weighs 2.6g, non magnetic, and is the same width as other pennies I have laying around. 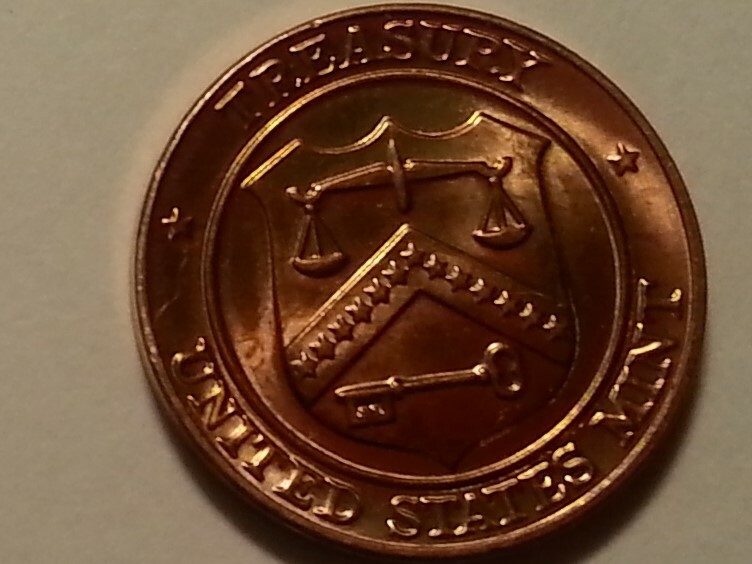 What would be some reasons to why this penny would be rejected. Machine didn't like the person on the coin. Must have been silver! Everybody knows that those machines reject silver! Me personally, I wouldn't worry about a machine rejecting 3 cents after it successfully accepted 4097 cents. I'd probably leave them in the reject tray for the next person (hoping for silver) to find. (that's the mischievous side of me). Others would just spend them as you did. Wasn't full. It rejected these three pennies several times during my dumping. I kept putting them back in. In the end, I waited for all processing of the others to finish and then tossed these into the machine. Sure enough, dumped them out the reject bin. Oh ; they were probably the ultra rare Aluminum cents that spit out . I didn't realize these machines take halves and dollars. I went back tonight and dropped $30 in Kennedy halves, $10 in Ikes, and $20 in Susan Bs. They do take 11% off the top but compared to my trips to the bank and dealing with bank teller ladies, I think I'm starting to like coinstar route. They do take 11% off the top but compared to my trips to the bank and dealing with bank teller ladies, I think I'm starting to like coinstar route. You can get full value if you pick a gift card. A lot of people just get Amazon cards with it instead of losing the percentage for the cash. Straight off the Coinstar website- "Coinstar cannot accept Eisenhower silver dollars, 1943 steel pennies, pure silver, commemorative or foreign coinage. They may not be recognized by our kiosk or returned to you. Items such as keys, jewelry and other valuables should also not go into the kiosk." I'm surprised the machine didn't keep the Ikes. I would have just spent that low amount of coin, and saved the 11%. I wonder if they meant that will take CuNi Ikes, but not the 40% silver ones. I'm now second guessing my Ikes in the machine. I also dropped around #30 to $40 in pennies, nickels, and dimes in that same batch. For those who know, you see your counts on their screen, and then it prints a paper ticket that you take to the cashier and they pay you cash. After that, you no longer have record of exactly what you deposited. I assumed since no Ikes dropped out the reject tray that they were accepted. I did hear a lot of clunking going on inside that box and heard things sound like they dropped on the floor of the unit. I need to go back with a controlled experiment. I'd hate to know I just gave them $10 in Ikes. I did drop in 4 of these mint set tokens just to see what would happen. I have around a thousand of these. Two were accepted, two rejected. My plan is to dump these into my recycling can unless someone has a better idea. It's just the silver ones that are on the unacceptable list so theoretically they should take normal ones. Their unacceptable list is actually quite hilarious since you know someone almost certainly tried everything on it. "1943 US pennies, acorns, alcohol wipes, animal crackers, animal or human teeth, bandages, batteries, beads, bells, belt clips, bent coins, bolts, bottle caps, broken glass, bullets, buttons, candy, candy wrappers, cardboard, cat litter, chains, clay, commemorative coins, confetti, contact lenses, cotton balls, cotton swabs, crayons, cuff links, damaged coins, dirt, dirty coins, dog food, drill bits, ear plugs, earthworms, Eisenhower silver dollars, erasers, feathers, finger nails, flash drives, foam objects, foreign coins, fossils, french fries, fruit snacks, glitter, gold fish, grass, guitar picks, gum , gum wrappers, gummy worms/bears, hair clips, hay, jar lids, jewelry, key chains, keys, lint, marbles, matches, miniature dice, mints, mud, nails, name tags, nuts/bolts, paper clips, pen caps, pencils, pills, pine cone parts, pins, pipe cleaners, Play-Doh, playing cards, POGs, pop can tabs, popsicle sticks, quilt squares, ribbons, rocks, rubber bands, rubber lid seals, sand, screw driver bits, screws, SD cards, seeds, shells, soap, soda, springs, stickers, tape, tie tacks, tire caps, tissues, tokens, tooth picks, tree bark, twigs/sticks, vegetables, wall hooks, washers, watch bands, wheat, wires, yarn"
Just picturing some of those provided quite a laugh. It took 1.27 seconds to rattle this change.